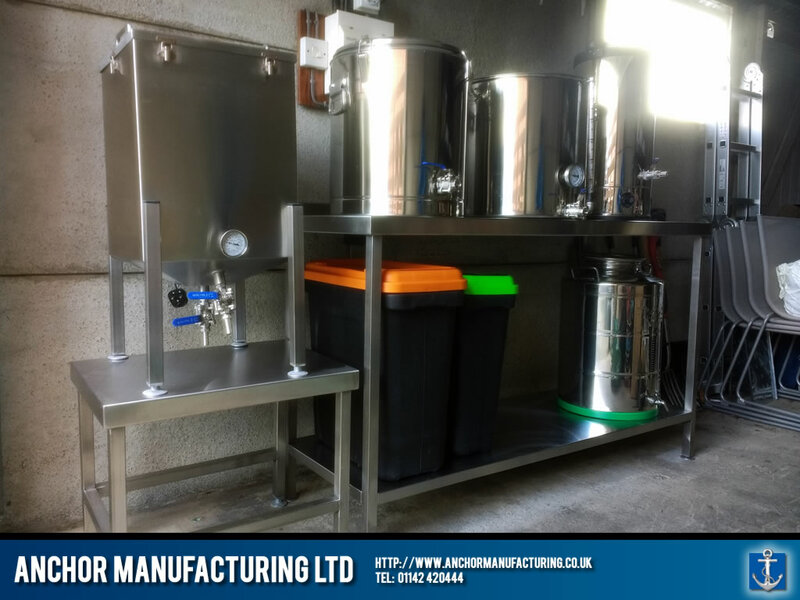 We’ve just had a picture e-mailed in of a very happy customer using his brand new stainless steel kitchen equipment for his Pilot Nano Brewery in Sheffield! We also made the custom spec stainless steel fermenter too. The steel wall table is reinforced with fully welded steel bracing supports to cope with massive loads. Save a few pints for us when it’s all up and running!